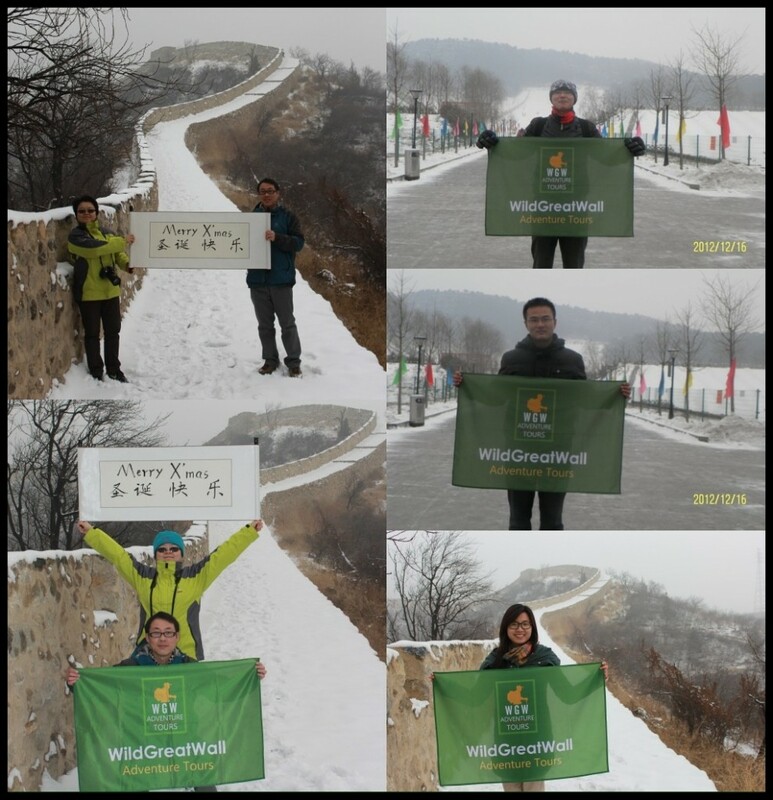 Merry Christmas from Hefangkou Great Wall! Posted on 24/12/2012 at 03:46. The holiday season is once again around the corner. It is a wonderful time for us to remember the friends and customers who make our jobs a pleasure all year long and keep our business successful. Our business would not be possible without your continued support. So we’d like to take this moment to extend our personal thanks to you and our best wishes to you and your families from Hefangkou Great Wall. May your new year be filled with all the success and happiness you deserve. Merry Christmas from Hefangkou Great Wall! Posted on 20/12/2012 at 07:40. 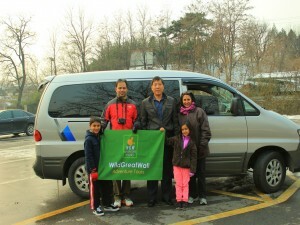 We had a short walk at Mutianyu Great Wall yesterday (19th, December, 2012). My experience? It’s hard to walk on it as there’s lots of snow on the Wall. We went up by cable car and found the frozen snow on the left towers (as we were facing the entrance) was so slippery that it was hard to keep our feet. No people on the left towers. We were even told by the staff of cable car ticket window that yesterday (18th, Dec) the Mutianyu toboggan ride was officially closed due to too much frozen snow. Seeing people walking towards tower 14 then we decieded to go that way. The good thing was the section between tower 14 and 12 had less snow, it’s more walkable. Even so, there’s just few people walking between tower 11 and 10. We finally ended our short walk by taking cable car after reaching tower 13. Click pictures to enlarge. The section between tower 13 and 14 had less snow. 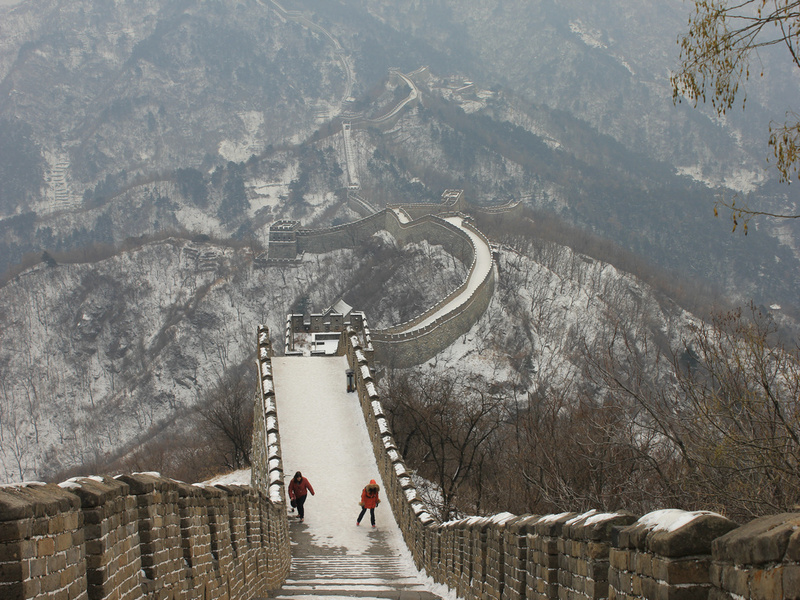 —The stairs between tower 14 and 13 had less snow, it was more walkable. —Nobody walked towards the left towers when we were there as the frozen snow was so slippery that it was hard to keep your feet. Posted on 11/12/2012 at 03:47. It is on several online newspapers that from January 1 to March 31 next year, the Forbidden City will be closed every Monday afternoon, expect for 11th Feb,(the Chinese new year) to protect the architecture and cultural relics. January: 7, 14, 21, 28. Feburary: 4, 18, 25. (it will open the whole day on 11th, Feb). March: 4, 11, 18, 25. The Forbidden City announced the museum will be open to the public from 8 am to 12 am and the ticket office will be closed at 11 am. There is a quick bag check in the Meridian gate. You are allowed to take in water and other beverages. Audio guide is available in the Meridian gate, which has a map with lights on it to tell you once where you are in the Forbidden City. This is really helpful since it’s easy to get lost, especially when walking around the six east or west palaces. Picture taking is allowed in all parts except for the original-state halls. Generally the central axis is crowded withtour groups. Don’t neglect the side chambers and other areas, which have exhibitions on various aspects of the Qing court such as jade, jewellery, ceramics, calligraphy and painting etc, they are largely ignored by the tour groups. 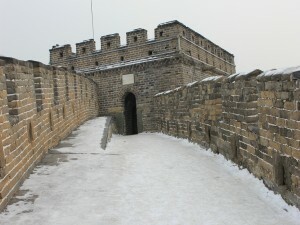 How to get to Juyongguan Great Wall? Posted on 28/11/2012 at 11:47. 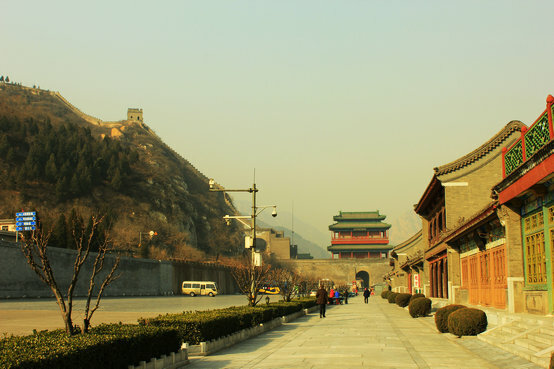 Getting to Juyongguan Great Wall from Beijing is not difficult as Juyongguan is the closest section to the city. Some tour groups probably switch to Juyongguan from Badaling because it is a little closer and also it’s less crowded than Badaling. 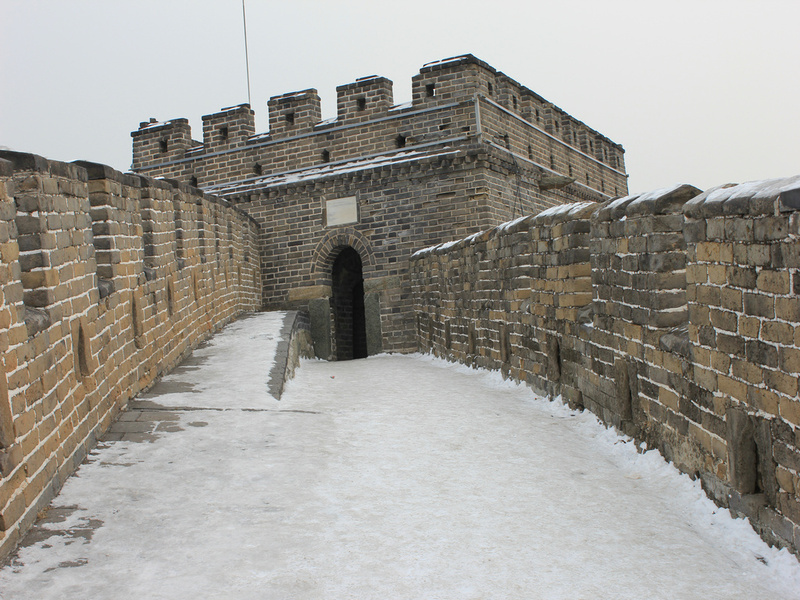 Unlike Wild Great Wall such as Jiankou, Jinshanling, Gubeikou, Juyongguan looks like a complete military castle with many steps along the way to the top on either side. The predominant feature of Juyongguan is the steepness. You really have to raise your legs to climb each step of the way. As higher you are climbing the less people you will see. The steps are wide enough for the amount of people climbing – if you have a heart problem or high blood pressure you may need to think about it. If it’s too much of a challenge for you to climb the southern section, north eastern section of the Wall that goes across the river is a little less steep and not crowded. Both sections offer terrific views. You may prefer the quieter north eastern section. You won’t see loads of souvenir stalls as you get to see in Badaling. Be sure to get your running or walking shoes on. Hiring a private car to Juyongguan is less hassle than trying to get there by bus. If you are travelling with 3 or 4 people, this way is really good value for your money. Looking for a cheap, reliable car hire service? Check out our Great Wall car rental service page; Car hire to Great Wall from Beijing. Take the Subway Line 13 at either Dongzhimen Station or Xizhimen Station and get off at Longze Station, take the shuttle bus No.68 (the bus is marked 昌68) and you will reach Juyongguan Pass. Bus No.68 is parked on the opposite side of Longze Station. Don’t worry which directly bus No.68 goes because that’s its first station. Bus 68 is parked on the oppoiste site of Longze subway station. Go to Jishuitan by Subway Line 2, make your way to Dengshemen Bus Station, and take 919 bus. 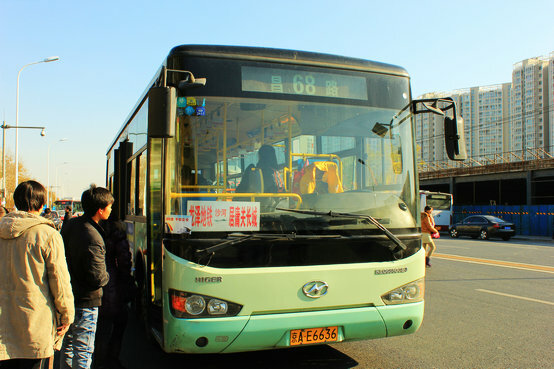 Take that for about 40 minutes to “South Mouth ” 南口 then switch to bus No.68 (going the same direction, on the same side of the street), and that will take you all the way to Juyongguan as it is its last stop and will park right next to the ticketing booth. 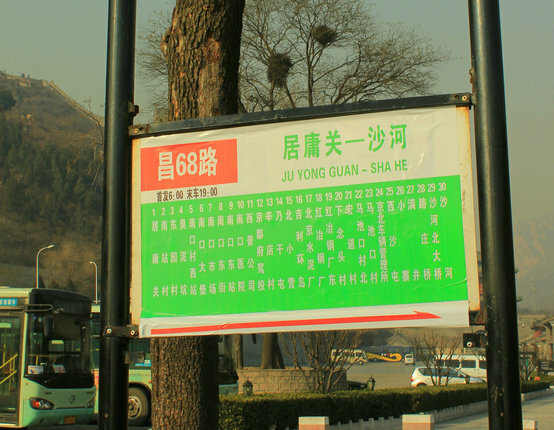 Bus 68 is at Juyongguan parking lot. Hiring a private car for excursions outside the city a good choice if you are not travelling on budget and want to avoid the crowded people and traffic. If you are travelling with 3 or 4 friends, this way is much more cost-efficient. We offer a single online destination to service all of your rental car needs including round trip rental cars, one-way rental cars, airport rental cars and off-airport rental cars.Your rental car with a licensed driver will help you get the most out of your holiday! All Prices shown are in RMB (Chinese Yuan) unless otherwise stated. Driver’s working time is 9 hours daily. The extra cost is 100RMB per hour. Enjoy weekend rate of 600RMB for a four-seater air-conditioning car to visit the splendid Mutianyu Great Wall from Beijing. Explore the spectacular Mutianyu on an intimate, private car trip. Recommended length of visit: 2-4 hours. Check out Mutianyu travel guide for more tips. Group / Bus Tour vs. Private Tour: Which is Better? Posted on 12/11/2012 at 04:05. I like hiking in a small groups rather than large ones, although I’m also out a lot only with my wife. The problem with large groups is the pace they move at. For example, Mutianyu Great Wall opens at 8:30am. Tour groups arrive at around 10:30am when the attraction is at the busiest time. 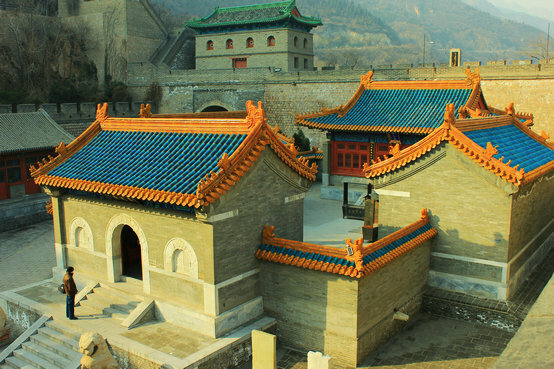 Independant tourists may get to Mutianyu on opening when it is quiet. Although major attractions in Beijing have group tours window where they could buy group tickets a bit faster (group tours have a different line to get into attractions as well), you will have to stick with group timings. Group tourists are still at Mutianyu when it’s heaving while Independant tourists leave Mutianyu before lunch and have the rest of the day in Beijng. Although large groups can be good fun, in my opinion 10 is the ideal maximum for large groups. With a smallish group, there’s more group bonding and people support each other, more personal attention and interaction with each other. Tour leaders can manage difficult sections more easily. Small groups has less visual intrusion into the environment, more interaction with local community and other tourists. With a private guide, chances are your guide will be very knowledgable and you can time your visits to your interests, have all your questions asked and hopefully answered. You can spot a special sight or stop somewhere just for amoment of tranquility away from the crowds. Your guide can give you a lot of help with eating, getting around and shopping. Beijing traffic can be horrendous at rush hours, so plan your transit times effectively. Bus tour might save a bit of money but they do so at the expense of rushing you from place to place, regardless of your individual interests. It can take quite awhile for them to do all the pick-ups (and drop-offs at the end) as the bus will stop at different hotels/hostels before leaving the city. Small group tour take you where you want to go, when you can go which won’t cost you too much (rather than share a tour guide with 20 others on the bus). Do you have a question? What do you think about it? If you’ve enjoyed this article, I’d ask that you share it with a friend or consider leaving a comment below. As always, your thoughts and opinions matter, so feel free to leave them below. We’d love to hear from you! 标签：camping guide, Great Wall bus tour, Great Wall group tour vs, Great Wall hiking, Great Wall private tour, private tour, which is better?